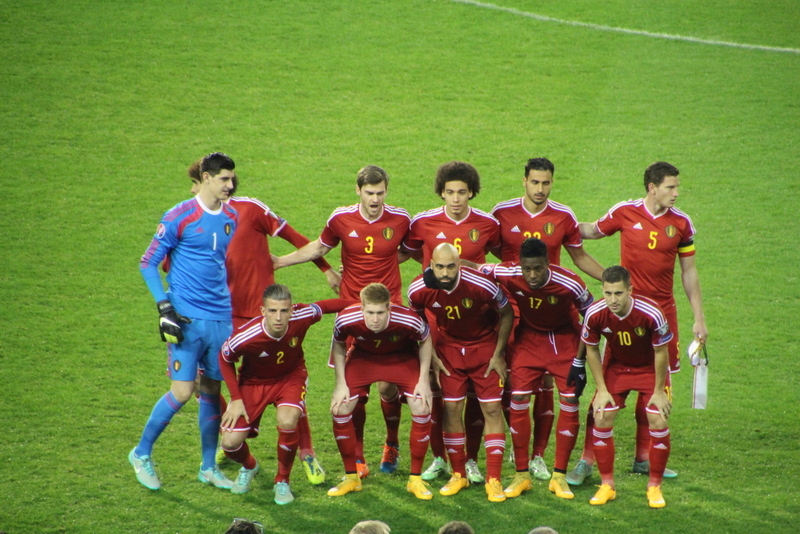 Belgium – ahead of the game with Wales. It’s been a while since Belgium’s last European qualifying match when they struggled against Wales in Brussels. Next up are the games with Cyprus, at home, and Israel away. Cyprus should not be too difficult but a visit to Israel always comes replete with dangers. When Marc Wilmots comes to decide on his squad, he’ll notice that he’s not as strong as he once was at centre back. In the past, one of Belgium’s major strengths was the wealth of options in that position. A year ago, Wilmots could count on his captain Vincent Kompany, vice-captain Thomas Vermaelen and as a replacement, Daniel Van Buyten, who was playing some of his best-ever games for Belgium. Now Van Buyten has hung up his boots, Vermaelen has – sadly – moved to the Barcelona treatment room and Kompany has had the ignominy of being dropped by Manchester City after a string of poor performances. With problems impacting his many business interests, the Belgian captain does not appear to be the calming influence that he once was. On the positive side, a number of Belgian strikers have started scoring and Kevin De Bruyne has found the form of his life at Wolfsburg. About three years ago, I was interviewed by Chelsea TV and I reasoned that in De Bruyne, Eden Hazard and Thibaut Courtois – all aged 21 or younger at the time – they had the three most talented young Belgians on their books. I got that one right. Kevin de Bruyne – in superb form for Wolfsburg. (copyright John Chapman). On Friday, Wilmots is due to name 23 players for the two qualifiers. Around 19-20 are certainties but for the other places, there are multiple options. The coach is notoriously conservative and it will be interesting to see how he handles affairs after a four month break. Let’s look at the alternatives. There is no issue here. Courtois is the undisputed number one, for Chelsea and Belgium. Simon Mignolet is back on form for Liverpool but he has no chance of displacing Courtois. For third choice, you could argue that Anderlecht’s Silvio Proto deserves a call-up but I think he’ll stick with Catania’s Jean-François Gillet. There seems little point in bringing in a young keeper with Courtois being aged 22. Even with Kompany’s well-documented problems, he will be there; other certainties are Jan Vertonghen, Toby Alderweireld and Zenit’s Nic Lombaerts. That will probably be the starting back four and to make up the squad, options include previous choices such as Seb Pocognoli, Laurent Ciman, Anthony Vanden Borre and Celtic’s on-loan Jason Denayer. However, Pocognoli hardly gets a kick these days for the Baggies and Vanden Borre is the antithesis of consistency. And will Wilmots retain Ciman now he’s moved to Toronto FC. Club Brugge’s right back Thomas Meunier looks more likely to get a call-up, a converted winger he’s been linked to a few Italian clubs. Lazio’s Luis Pedro Cavanda is very unlikely to be in the list, while Standard’s Jelle Van Damme has had injury problems. If Wilmots decides he needs to have eight defenders at his disposal, as he usually does, then Anderlecht veteran Olivier Deschacht may get the nod. Of the Italian contingent, Mertens could be in and Nainggolan out. First the certainties: Axel Witsel, Marouane Fellaini, Moussa Dembélé, Nacer Chadli and De Bruyne. All are in good form with the possible exception of Dembélé but these guys will always be in Wilmots’ squads. Obviously Eden Hazard will be there, along with Napoli’s Dries Mertens. Everton’s Kevin Mirallas has also had injury problems but he should make the cut. With Adnan Januzaj not getting much playing time for Manchester United, Monaco’s Yannick Ferreira-Carrasco is more certain of a place in the squad after a solid season. Wilmots has suddenly got four strikers who have started scoring. Christian Benteke, Romelu Lukaku, Michy Batshuayi and Divock Origi are all contenders. We need look no further. In defence, Vanden Borre and Pocognoli could lose their places in the squad with Meunier coming in. Deschacht may get the nod in but I feel Wilmots will be happy with Lombaerts as back up for Vertonghen on the left. If Defour and Mirallas are deemed fit for action, then both Nainggolan and Januzaj could find themselves on the side-lines. That will be especially tough for the Roma midfielder but he has yet to convince Wilmots that he brings added-value to Belgium. All hoping to get a call. Up-front, I expect Wilmots to stick with his usual three, despite Batshuayi’s form for Marseille. That could change next season if he becomes a certain starter for the French club. Thibaut Courtois, Simon Mignolet, Jean-Francois Gillet ; Vincent Kompany, Jan Vertonghen, Toby Alderweireld, Nic Lombaerts, Jason Denayer, Laurent Ciman, Thomas Meunier; Axel Witsel, Marouane Fellaini, Moussa Dembélé, Nacer Chadli, Kevin De Bruyne, Dries Mertens, Eden Hazard, Steven Defour, Kevin Mirallas, Yannick Ferreira-Carrasco; Romelu Lukaku, Divock Origi, Christian Benteke. 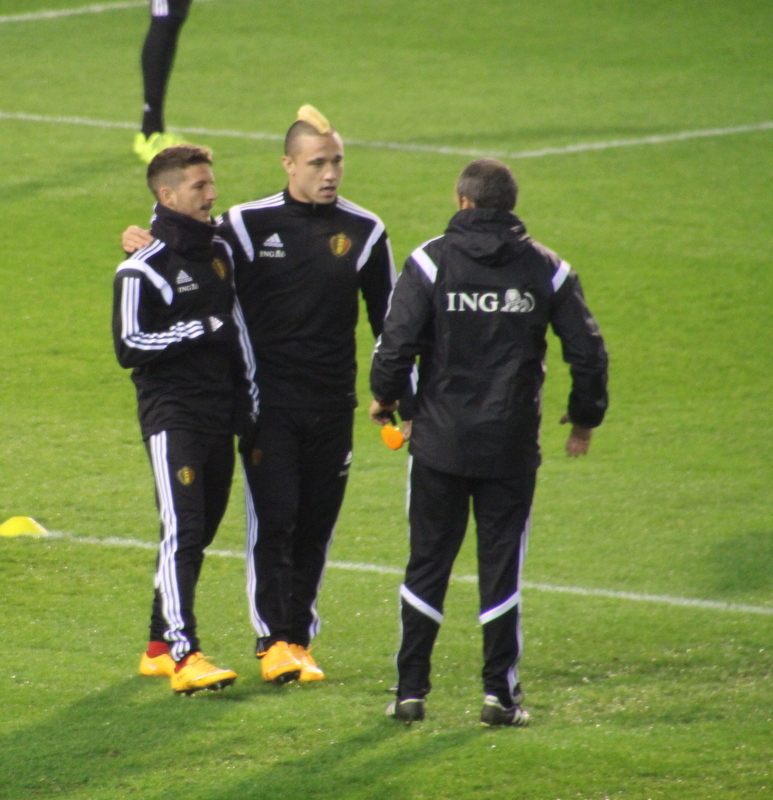 Stand-by (If Mirallas and Defour have injury problems). Radja Nainggolan, Adnan Januzaj, Michy Batshuayi. Anthony Vanden Borre, Dennis Praet, Sébastien Pocognoli, Silvio Proto, Jelle Van Damme, Luis Pedro Cavanda, Thorgan Hazard, Olivier Deschacht, Youri Tielemans, Leander Dendoncker.